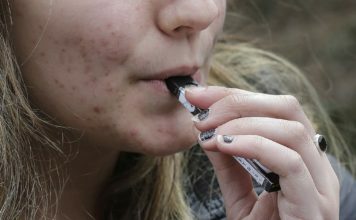 Kids are using Juul vape pens at school and Collier officials say parents need to be on the lookout. 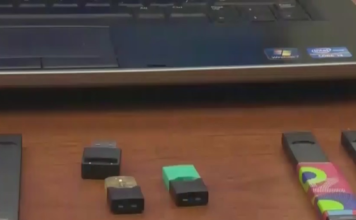 Juul e-cigarettes can look a lot like a USB drive or even school supplies and their unremarkable design is making it easy for kids to sneak them on campus. Collier County public schools sent out an urgent message to parents Thursday to show images of what vaping devices. Students say they’ve seen vaping on campus and inside school walls. “Some do it in the middle of class, some of them do it in the restroom,” said Luis Valdivieso. And the school district says it’s not just teenagers. Younger middle school students are vaping as well. But catching students in the act is sometimes a hard thing to do. “It doesn’t smell so it’s not like when kids were smoking cigarettes in a bathroom — everybody knew what was going on,” Turchetta said. Parents agree it’s a team effort and are happy the school district is on their side. “I don’t know if there’s anything we can do to prevent this. Maybe go to the manufacturer?” said parent Lori Gian. If a student is caught with a Juul, they can be suspended or even ticketed by police.